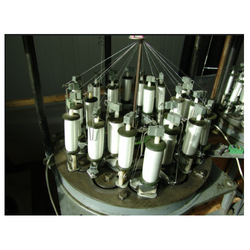 We are leading organization engaged in providing Lace Braiding Machine. Srichand Engineering & Moulding Co. Robust and high speed double needle bar machines for the manufacturing of 3- dimensional fabrics. 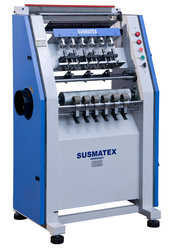 - Working width of seamless machine: Upto 138"
Laces are made by weaving a number of threads through needles. Jayson Engineering & Manufacturing Co. This is a new type lace patti finishing machine. This is 3 roll type finishing machine. Characteristics of this machine are the vertical binding of the crown with diamond shape stitch for small and medium stators. All mechanics functioning will be managed with PLC siemens with panel touch screen programmable. Machine equipped with rotary table with two place for loading and unloading with booking cycle program.